Cargo Jeans Ombre Pacifico. It doesn’t get cooler than cargo jeans with an ombre wash. Slim fit blue jeans with large, snap-button cargo pockets on both sides. Constructed with button-up fly, belt loops and front and back pockets. Cargo jeans made from heavyweight cotton blend with slight stretch. Designed with skinny Velcro tabs on ankles and thighs to adjust fit. 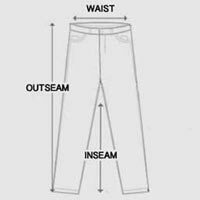 Includes thigh wrinkling and faded ombre effect for the most modern cargo pant design. You’ll always look fresh in cargo jeans finished in fashion’s most-wanted denim wash.